LEDs are already saving customers money, but marry that with a connected lighting system and the savings really add up. In many states across the U.S., homeowners can save nearly $160 annually by simply replacing a dozen standard 100-watt light bulbs with LED versions that also last 30 times longer and eat up 80 percent less energy. Consumers need not track their energy bills. Manufacturers like Cree and Signify feature LED savings calculators on their websites that reveal exactly how it all adds up. Many energy companies in the U.S. have been offering rebates for LEDs purchased or sending boxes of bulbs to customers themselves to encourage consumers to make the switch. Thanks to this push to educate consumers, LED adoption has exploded as more consumers look for ways to save money on their electricity bills. A study by the U.S. Department of Energy (DOE) reveals that based on current trends in LED price and performance, the technology will command 84 percent of lumen-hour sales in the general illumination market by 2030, reducing lighting energy consumption in that year by 40 percent. That savings is worth more than $26 billion at today’s energy prices and is equivalent to the total energy consumed by nearly 24 million U.S. homes. But that’s not all. Combining LEDs with smart and controlled lighting developments can have an even bigger impact. At the DOE’s third annual Connected Lighting Systems Workshop in 2017, James Brodrick, who was DOE Solid-State Lighting Program Manager until he retired in December 2018, called connected lighting a “second lighting revolution” made possible by the ease at which solid-state lighting can combine with network interfaces and sensors. Coming faster and promising more disruption to the industry, he said, connected lighting has an enormous potential to increase energy savings. The key to widespread consumer adoption may not come from energy savings calculators or free light bulbs. As voice assistant products like Amazon Echo and Google Home become ubiquitous — about half of all Americans report using a smart product or device in their home according to market intelligence service GfK — consumers will search for more ways to build their dream smart homes. In fact, 53 percent are looking for smart features that optimize energy usage, and that’s where connected lighting could have an in. That’s good news for the folks at Leviton. At the 2019 Consumer Electronics Show, the company unveiled its new voice-powered control solution, the Decora Voice Dimmer with Amazon Alexa Built-in. In addition to full-range dimming capabilities, the new Wi-Fi lighting control allows homeowners to dim the lights, check the weather and more via voice command that connects to the in-wall Decora dimmer. And as if that weren’t simple enough, Decora can replace any standard light switch. Lutron now offers its energy-saving Caséta connected lighting system as a standard in new homes built by Lennar. Connected lighting has become so prevalent, Lutron now offers its popular Caséta smart lighting control system, which works with a wide range of smart products and services like Alexa, Siri, Google Assistant and the Nest as a standardized package for production builders like Lennar. According to the company, Lutron’s dimmers, even at the highest lighting levels, save 4 to 9 percent electricity over a standard on-off switch and more when the lights are dimmed, but Caséta offers even more energy savings via a location-based control that can turn lights off as the occupant walks about the door and on again when they come back home. 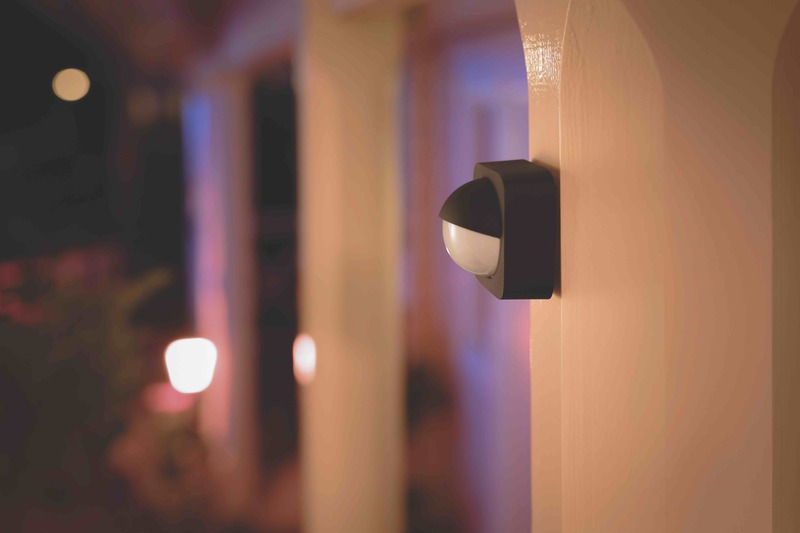 Similarly, Signify’s new outdoor sensor, part of the company’s Philips Hue smart lighting system, features an energy-conserving integrated dusk-to-dawn sensor that ensures outdoor lights switch on only when it is actually dark outside. Signify’s energy-efficient outdoor sensor is the newest addition to the Hue family of connected lighting. But it’s not just about lighting. Smart and connected capabilities that save energy extend into the ceiling fan category, as well. For example, in addition to running on DC motors that are 70 percent more energy efficient than traditional AC models, new smart fans from Modern Forms easily integrate with smart home technologies like Alexa and Google Assistant. They also feature WAC Lighting’s exclusive Adaptive Learning Technology whereby the fan learns from its users, so it automatically adjusts to their usage habits. While consumers are increasingly familiar with smart products and gadgets, purchasing an entire system that controls everything from lights to the thermostat can be overwhelming. 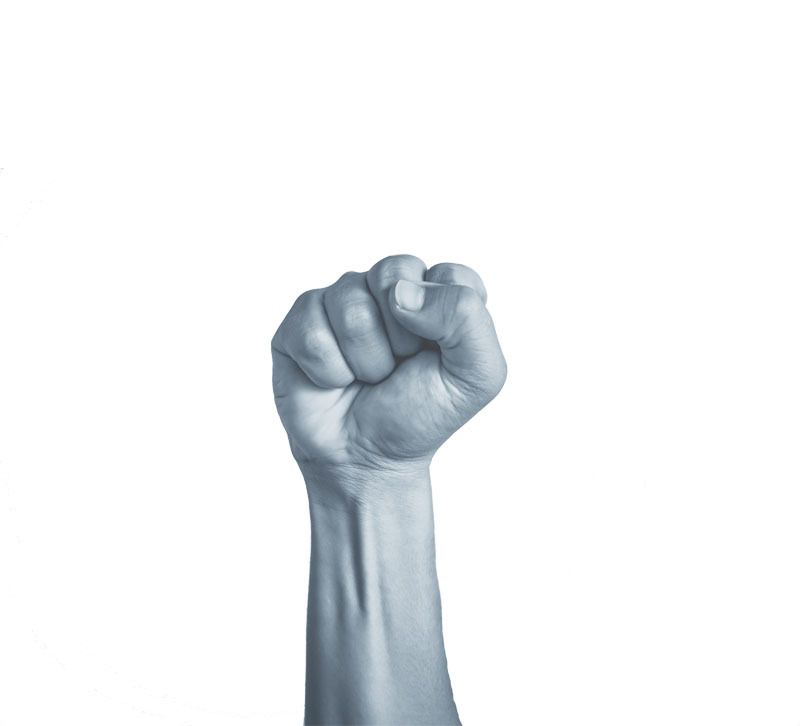 But, at Idlewood Electric in Highland Park, IL, the interactive Smart Room gives customers a first-hand look at how the system works and arms them with the confidence to take the plunge. Set up to look like an actual living room, the Smart Room’s lighting, shades and a Minka-Aire ceiling fan, as well as a Sonos sound system and Amazon’s Echo Dot, are completely connected via Lutron’s Caséta system. 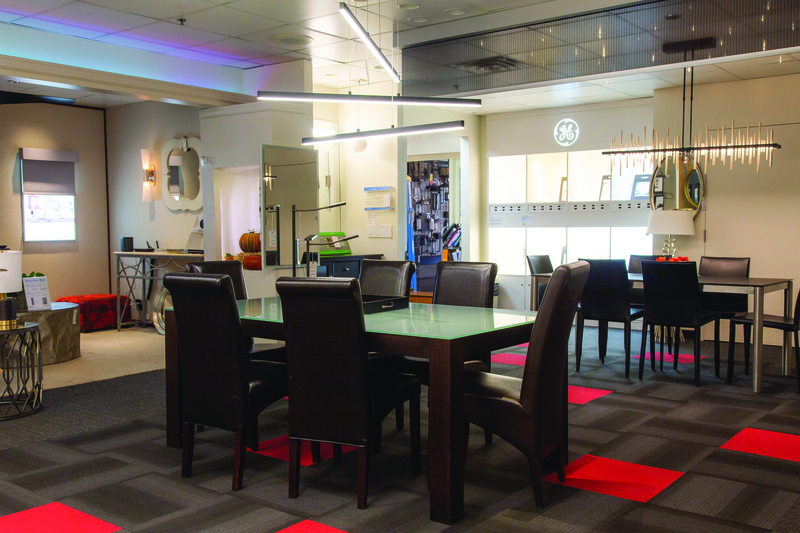 The Smart Room at Idlewood Electric in Highland Park, IL is set up like an actual living room outfitted with the latest connected lighting products. As sustainability continues to drive consumer purchasing habits, staying on top of new connected lighting products can help showrooms get ahead of their competition from online retailers like Amazon and others. Customers are already looking to technology for solutions that make their lives better, so making it easier for them to embrace connected lighting is a win-win, said Terry McGowan, Director of Engineering at the American Lighting Association.